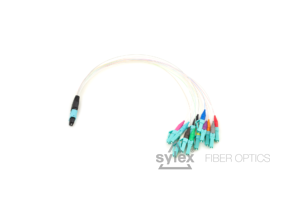 MTP-LC 12-fiber direct split (MTP to LC trunk) is suitable product for data-center applications. It is typically mounted in the MTP Plug & Play cassettes or patchpanels. Fanouting is made directly in the MTP connector, therefore no additional furcation points are required. Direct splits MTP fanouts are designed to fit in to any application with small space requirements. 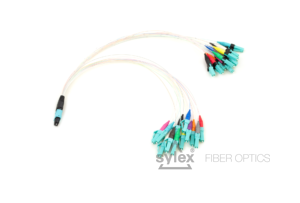 MTP-LC 24-fiber direct split (MTP to LC trunk) is suitable product for data-center applications. It is typically mounted in the MTP Plug & Play cassettes or patchpanels. 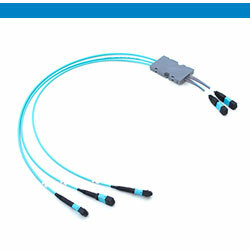 Fanouting is made directly in the MTP connector, therefore no additional furcation points are required. 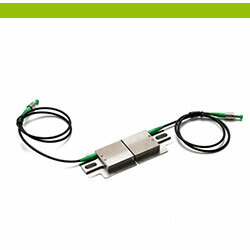 Direct splits MTP fanouts are designed to fit in to any application with small space requirements.